Fully Automatic. High Power. Efficient. Affordable. Charging via a physical connection to the vehicle’s underbody is not only the most logical approach, but also enables the simplest possible robotic for an automatic connection. Thanks to the revolutionary self-centering, twist-independent, high power connector design, even the angular orientation of the parking vehicle does not matter. Unlike inductive charging, whereas the vehicle must be positioned very precisely, the base unit can compensate for large parking misalignments of even 0,5 x 0,5 m. Charging was never that simple - park and go away. 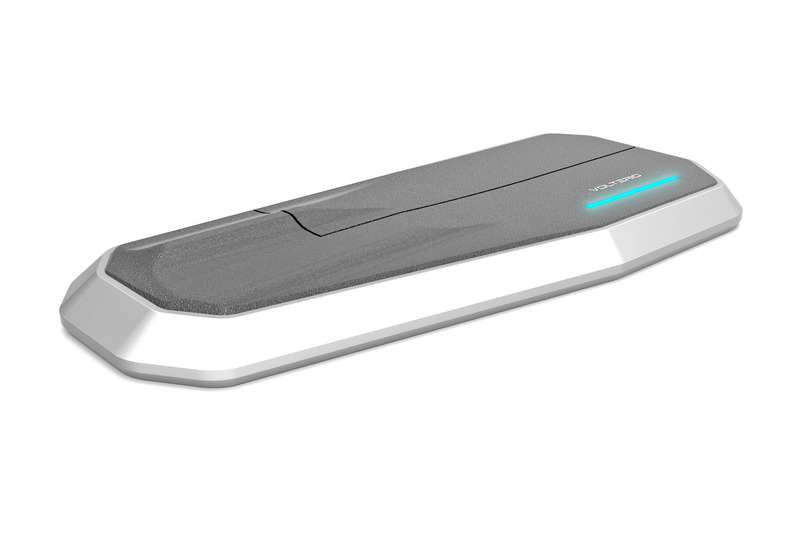 When an electric vehicle with the VOLTERIO charging system approaches to a respective parking lot, the VOLTERIO base unit automatically starts to communicate with the vehicle unit via an encrypted wireless connection. The electric vehicle only needs to be parked roughly over the base unit. Guided by an ultrasound based micro-navigation system the base unit automatically connects after ensuring the correct vehicle position. After checking authorization, the charging process starts automatically or can be scheduled by an intelligent charging management. Recharging will be something you don't have to care about - everything happens automatically. The compact designed base unit measures only 5 cm in height and is everything you notice from the VOLTERIO charging system. Optionally, an alternative version of the base unit will be fully flat embedded in the ground. The base unit's large scope of movement compensates parking misalignment through a lengthwise and pivot movement. The system works from all orientations. Additionally, the VOLTERIO connector with its self-centering design, can compensate mechanically horizontal misalignments of 7 cm as well as slight tilts. This results in very low requirements in terms of accuracy of the positioning and makes the robot so inexpensive. 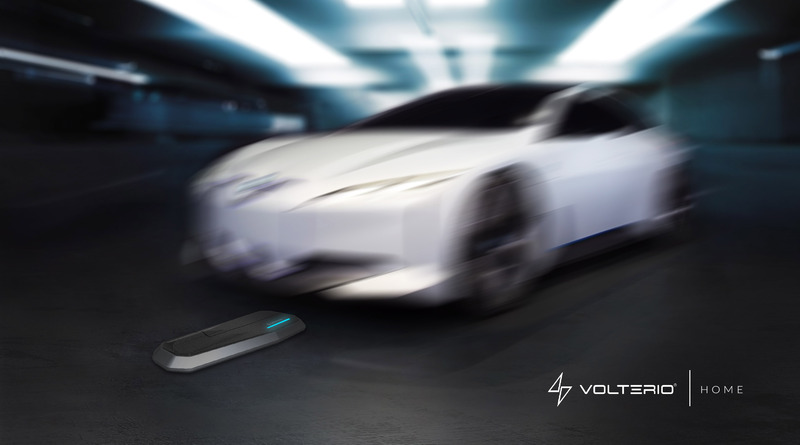 VOLTERIO will not only be the cutting-edge solution for high-end luxury cars, it is designed to reach the mass market and will likely replace most of the conventional charging stations. Due to an 'anytime' automatic grid connection, VOLTERIO enables entirely new possibilities for autonomous driving cars. Up to now, there is no satisfying solution for upcoming autonomous driving electric vehicles for an automatic charging system. Furthermore, the entire parking time can be potentially used to obtain energy from the power grid when it is reasonable. This enhances new business models such as real-time pricing or active load management. 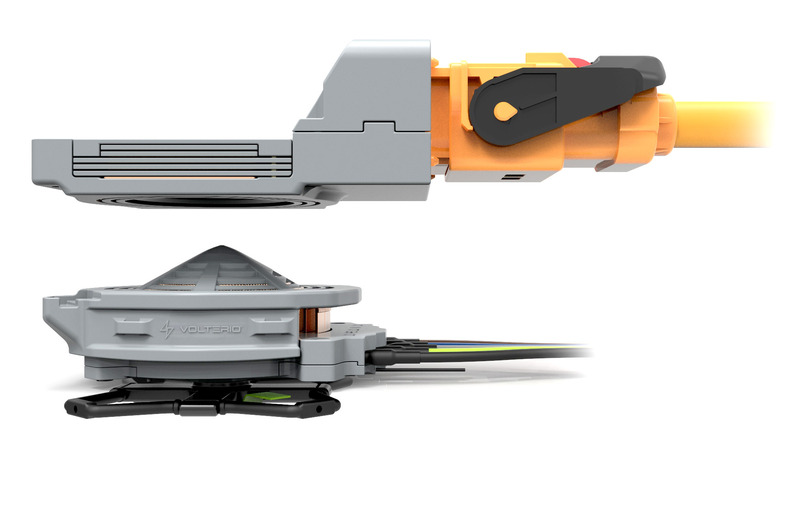 The heart of the VOLTERIO system is the innovative, patented self-centering connector. Any arbitrary position of the connector (1) within the dimensions of the vehicle unit's counterpart results in an interlocking position (2). Therefore, all coaxial and hollow cylindrical contact elements of the connector are aligned in order to fully connect with the respective conductor of the vehicle unit (3). This enables not only an extremely compact design but also large conductor cross-sections for a high current carrying capacity, respectively, high power charging. 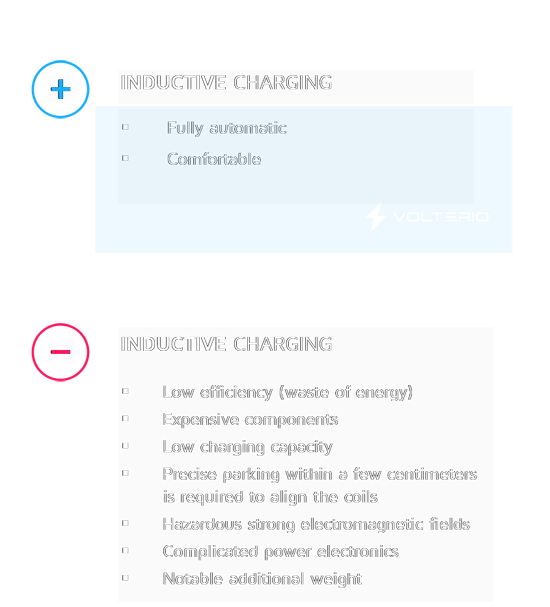 VOLTERIO combines all the advantages of conductive, cable based charging systems with the advantages of inductive systems without having their respective disadvantages or at least in a mitigated way. Inductive systems cannot be the future due to the fact, that they have too many fundamentally physical related disadvantages compared to conductive systems. 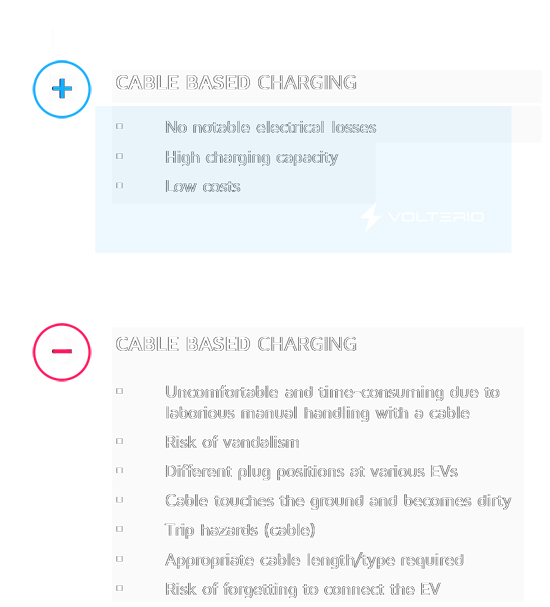 The pioneering solution VOLTERIO provides everything that fulfils future expectations of an ideal charging system. VOLTERIO is electrically encapsulated, moisture and dirt protected, corrosion-resistant, always volt-free - it is the safest way to charge.